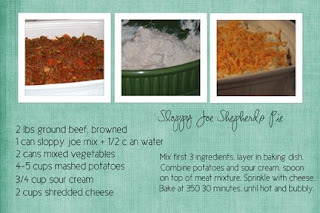 Miss Kim posted a recipe for a Sloppy joe casserole the other day. I have linked you to it. FABULOUS if I do say so myself. So as I do any time a new recipe is a keeper, I make a recipe card for Katie’s book and I thought I would share it with you guys too. Let me know if you would like the full res version. so I think we are…. … finally on the mend, yesterday afternoon I felt almost human, and actually fixed dinner 🙂 Today I am much more myself and things are getting back to normal. In scrapping news, I have the honor of being chosen to be on two fabulous ladies Guest Creative Teams. I will be a guest on Kelly Thompsons team in April, and Melissa Bennets team in June. So very excited as these are two very talented desginers. In doing these pages, plus the March tag album (HERE:http://www.scrapbook-bytes.com/gallery/showgallery.php?cat=12513) which is a Cathy Zielske thing I am doing, most of my scrapping right now is focusing on daily life. Seems to be the hot trend right now, and rightly so I think. So in saying all this, my posts on here may seem more random, as I use this blog to help record some of those details for further scrapping. Well, I think that is it for now. Going to go organize my overflowing pantry right now and try to create some kind of order from the chaos. Wish me luck…. 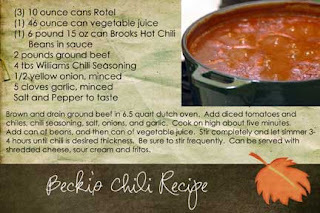 could come of a day like today would be some chili simmering on the stove, and some creative time. Well at least the chili is simmering on the stove. Maybe I will do a recipe card later. favorite quotes or layout ideas. I love that I will be able to have this with me when I scrap instead of digging through all those magazines that are piling up in my office. she told a funny story about her husband Dan, that sounded just like something Shane would say. (Shane even thought so, LOL) Here it is if you would like to read it. 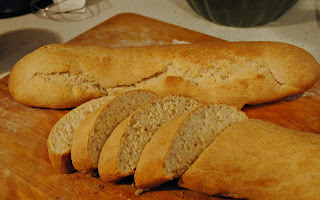 Here is my French Bread Recipe for you all ,enjoy! 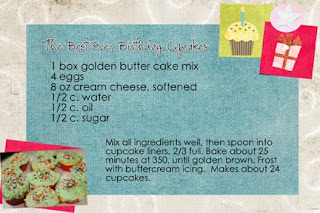 using dough hook and mixer or by hand. Divide dough in half. Working with one half, roll it out flat with a rolling pin. 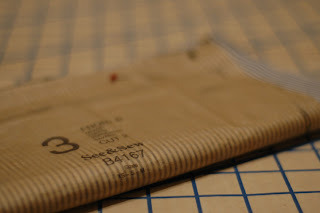 Then roll it into a tubular shape, pressing together well at the seams. Repeat with other half. Place both on a cookie sheet, and lightly spray with olive oil or non stick cooking spray. 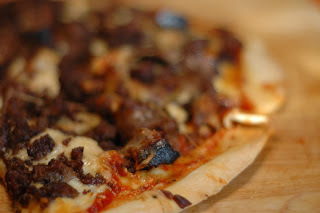 This keeps the dough from drying out, and also gives a nice crunchy, but not too crispy crust. Let rise about 25-30 minutes, bake at 350 for 30-35 minutes, or until golden brown. 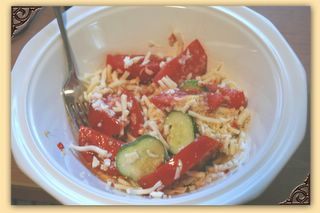 Summer Meals, I love them! Nothing says summer to me more than homegrown tomatoes! Toss all ingredients together, let sit 20 minutes, enjoy!